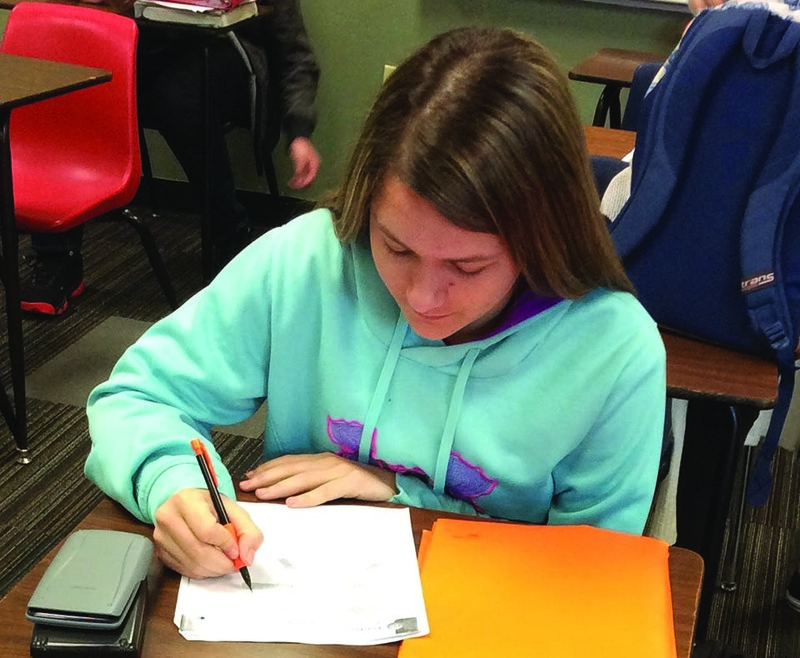 Rock Creek High School recently had a new sophomore named Sabrina Ruston transfer to their school from El Dorado Springs, Mo., right before Spring Break. Ruston moved here because of her step-father’s job, which moves from place to place and requires traveling. Although she is not yet involved in any extracurricular activities yet at Rock Creek, Ruston was involved in basketball and softball at her old school and plays basketball in her free time. She plans on playing basketball next season, but not participating in softball because of an injury to her knee. “My favorite part about Rock Creek is it is very easy to find your way around the school,” Ruston said. Since arriving at Rock Creek, Ruston has made a few new friends, including sophomore Tabi Vetter, who transferred to Rock Creek her eighth grade year. Ruston’s old school differed from Rock Creek because they were also not on a block schedule, and their school contained many more students than Rock Creek does.